Luke would rather drink his food than eat it so I have been making this for him in the afternoon. He calls it the green shake-y shake! Pour coconut water into blender. 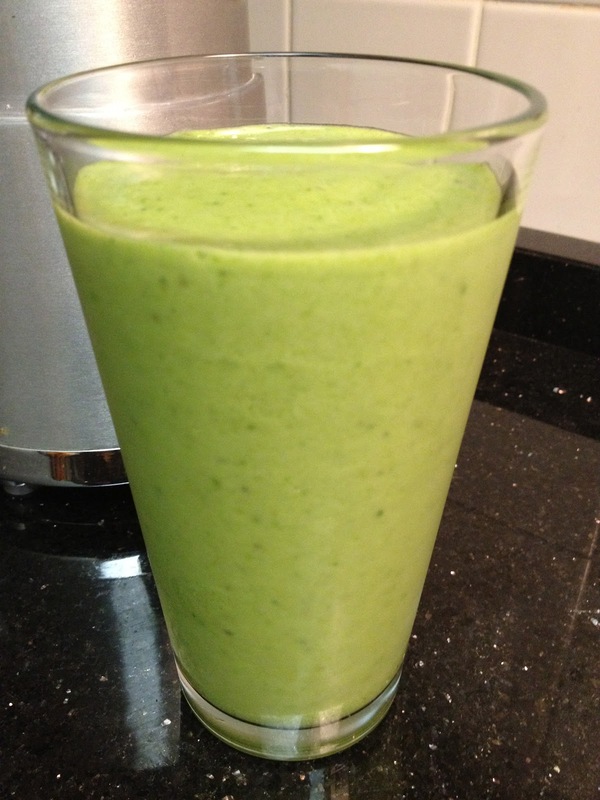 Add frozen bananas, kale and maca powder and blend. Enjoy! * The key to the shake is the frozen banana. When you have a bunch of ripe bananas, slice them up and place them in a freezer bag/container. This way you have them on hand every day.